Rogers Communications Inc.'s headquarters building stands in Toronto, Ontario, Canada, on Monday, July 11, 2011. OTTAWA — The RCMP and many other police forces are refusing to pay new fees imposed by Rogers Communications for helping track suspects through their mobile phones. Police say the telecommunications firm is legally obligated to provide such court-ordered services and to cover the cost as part of its duty to society. Rogers says while it picks up the tab for most judicially approved requests, in some cases it will charge a minimal fee. The quietly simmering dispute underscores long-standing tensions over who should pay when police call on telephone and Internet providers to help investigate cases. It began late last May when Rogers wrote to RCMP divisions and other police services across Canada to say it would usher in new fees to law enforcement on Aug. 1 . The fees applied to help in executing warrants for tracking customers’ movements through cellphone data, and for production of affidavits certifying records in cases where testimony is required to explain the records in court. RCMP officials responsible for covert operations told their superiors in a June briefing note there was no legal basis for the planned fees and that Rogers could be charged under the Criminal Code for failing to comply with a court order if it refused to provide the services unless compensated. The note, obtained by The Canadian Press under the Access to Information Act, points to a 2008 Supreme Court of Canada decision in which the judges said companies would generally be expected to comply with court orders on their own dime unless costs became unreasonable. In the case at hand, the court said it was not unreasonable for Tele-Mobile Co. to pay annual costs of between $400,000 and $800,000 to comply with production orders. The association’s board was briefed in late June, and early the next month the chiefs recommended to police services that they not sign “acknowledgment of fees” notices distributed by Rogers. The chiefs interpret the Supreme Court decision as requiring Rogers to “bear the reasonable burdens of compliance with such orders as part of its general corporate responsibility to the community,” said Tim Smith, a spokesman for the association. Rogers spokesman Kevin Spafford said the company dropped the demand for fees related to affidavits prior to the Aug. 1 changes. However, where possible Rogers does recover costs for location tracking of mobile devices, Spafford said. It was up to individual police services to decide whether to sign the Rogers agreements, Smith said. However, the association understands that “a vast majority” heeded the recommendation and are not paying the fees, he added. Smith stressed that — the current disagreement notwithstanding — police services across Canada “enjoy a positive business relationship” with Rogers. Sgt. Greg Cox, an RCMP spokesman, also said there had been “no substantive change” in the force’s dealings with Rogers or other telecommunications firms. Rogers, the RCMP and the chiefs’ association all refused to say how much money the company is requesting under the new fee structure. 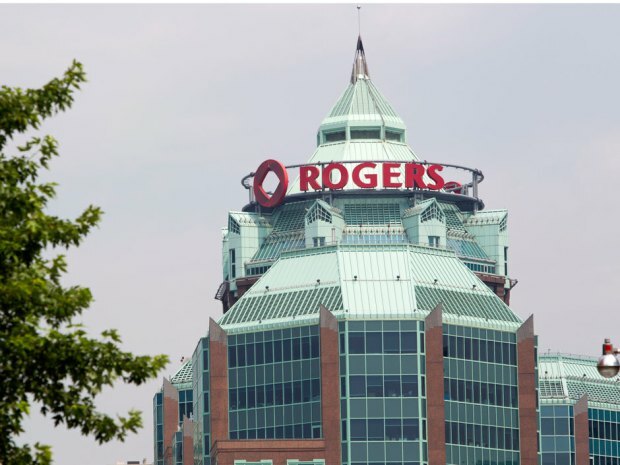 Although they have concerns about the new Rogers fees, the Mounties did pay more than $2 million to telecom firms in 2012-13 in connection with customer information and intercept-related activities, the force says. “The RCMP is working with all major telcos to determine sustainability of the current situation and associated costs,” Cox said. The Police are having a laughing all the way to the bank. The courts make an order for disclosure and conveniently avoid mentioning who is going to pay for the cost. Orders for the Police to pay are unheard of however you have to read carefully. Roger's are specifically demanding to be paid, when, a Judge has NOT made an order. The hint is, pay us our costs and your request will be expedited. The problem is Roger's makes lots of money from Criminals using their system for crime and a few hours of their services to complying with genuine requests for information wont really cost them. After all, the police could really seize the accounts of Rogers as being the proceeds of crime. Judges have their discretion eroded by politicians and the underbelly abuse their discretion by either refusing to provide defense lawyers with disclosure. Its got so bad in Ottawa that most trials occur with the Police failing to provide disclosure right up to the day of trial. Often the officer on the stand at trial is reading notes that were not provided from years earlier when the charges were laid. The Crown victimize those who are self represented, Judges and Police literally kick the victim in the head and a large number of those cases are Male Victims of Domestic Violence who the Police have Fabricated Charges in order to remove children from full time fathers because of Ontario's Gender Superiority Program or what is called Male Sharia Law.